4 Days to HeroSmash Beta! Happy Sunday gang. 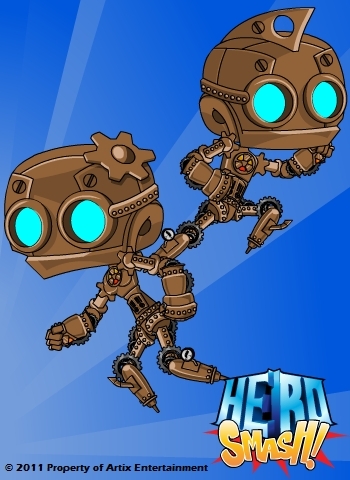 It’s time for the latest update about what to expect in the HeroSmash Beta launch. I, for one am getting extremely egg-cited (ugh I know. Bah, I had to throw one in). This beta release will be out of control. So much time and so little to do. Wait a minute. Strike that. Reverse it. This one goes out to all Villains. Heroes turn away as the evil of this zone might just melt you brain. I give to you BUM BUM BUUUUUUM! Skull Deep. 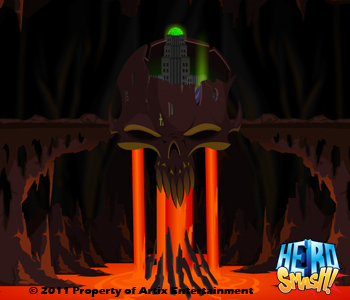 Skull Deep is found deep under the bowls of Super City. 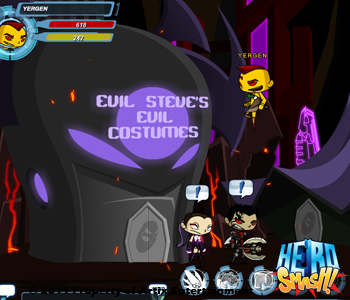 In skull deep you will find some of the Villain NPCs as well as get some cool Villain themed quests. 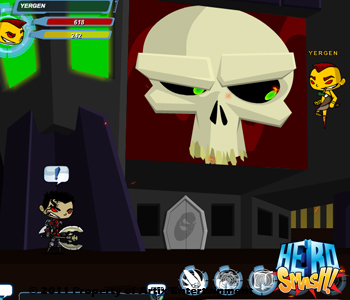 This is the sweet and stylin’ hangout for all villains of Hero Smash. Inspired by Las Vegas, Thyton and I really went all out to give the villains a place to call home. Since the beginning Randor the Red has been at the front lines making everyone amazing armors. This Sneek Peek features two armors made by the one and only Randor the Red, and they look awesome! Wait I already said awesome. Well then they look Double Plus Awesome! Next is a truly wild armor. This jungle inspired armor will have you swinging from the branches. This is one of my favorites because it’s so original and creative. Note - Swingning vine is not included in the armor. That’s it for today’s update. Tune in tomorrow for another big update on what to expect for our HeroSmash Beta launch! What will you see tomorrow? No one knows! ...Well that's not exactly true... I know... So one person knows. Hmmmm... You know lets just say Most people don't know. There. That makes me feel better.